William Atherton was born c.1913. He attended Bolton Church Institute, as did his sister, Edith and brother, Ernest. He worked in cotton mills in Romania and Japan before the War. William enlisted in 1940 and served as an Aircraftman 1st Class with the Royal Air Force Volunteer Reserve. He died while a prisoner of war in Java. It isn't known whether his knowledge of Japanese language and culture contributed to his death. L/A/C William Atherton (30), Englefield, Junction-rd, Lostock, is a prisoner in Java. 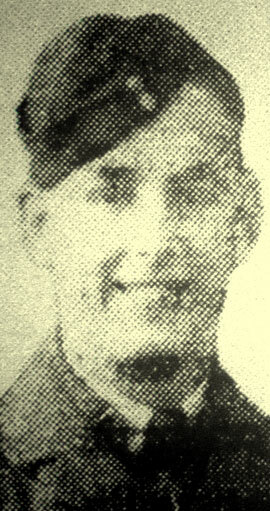 Employed by the United Thread Mills at Eagley, he joined the forces in May, 1940. He attended the Church Institute School. News has been received by his wife at Englefield, Junction-rd, Lostock, that AC1 William Atherton RAF, has died in a prisoner of War camp in Java. Before joining up he was employed by the United Thread Mills Ltd., which company he served in their Japanese and Rumanian mills. Aged 29, he formerly attended Eagley school and the Church Institute school. He has a brother serving in Malta.